TSB has chosen Iress’ mortgage sales and originations (MSO) solution – with the first deployment due to be rolled out to TSB’s intermediary channel in the summer. Branch, telephony and digital will follow in a phased rollout at unspecified times. Ian Ramsden, mortgages director, TSB, says Iress is a “natural fit to support our technology transition and they have been great partners to work with”. The decision to adopt MSO “supports” TSB’s implementation of its new Proteo IT platform. Iress says TSB will be the first lender to adopt the latest generation of MSO, which manages the process from initial enquiry through to release of funds, for its advised channel. MSO also offers automated case tracking across sales channels and devices (including mobile). Intermediaries and their clients are kept informed throughout the application process, reducing the number of case enquiry calls that need to be made. Iress adds that the ability to scan and attach documents and the digitisation of services such as valuations removes paper from the application process, “stripping out costs and reducing processing time”. 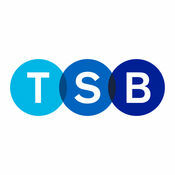 "Last year was TSB's most challenging year." “We have created a more digital, agile and flexible TSB,” stated Paul Pester, CEO of TSB, at the unveiling of the bank’s new technology platform, Proteo4UK. Plans to become UK’s first high street lender to link to rival’s digital deals. After seven years as CEO, Paul Pester will leave the bank.